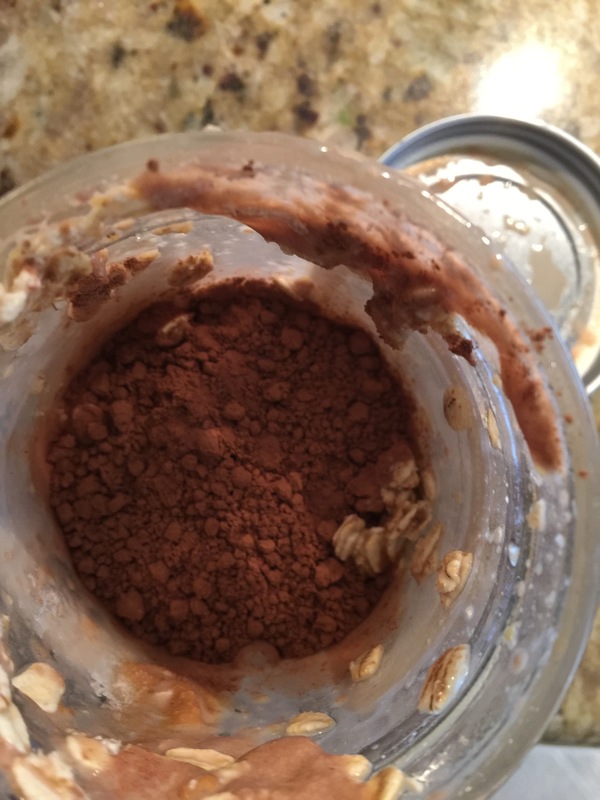 A quick Pinterest search will turn up hundreds of variations on the Overnight Oats concept. True story: I’ve never liked oatmeal. It’s a texture thing, I suppose. But, it’s just never been something I could eat. 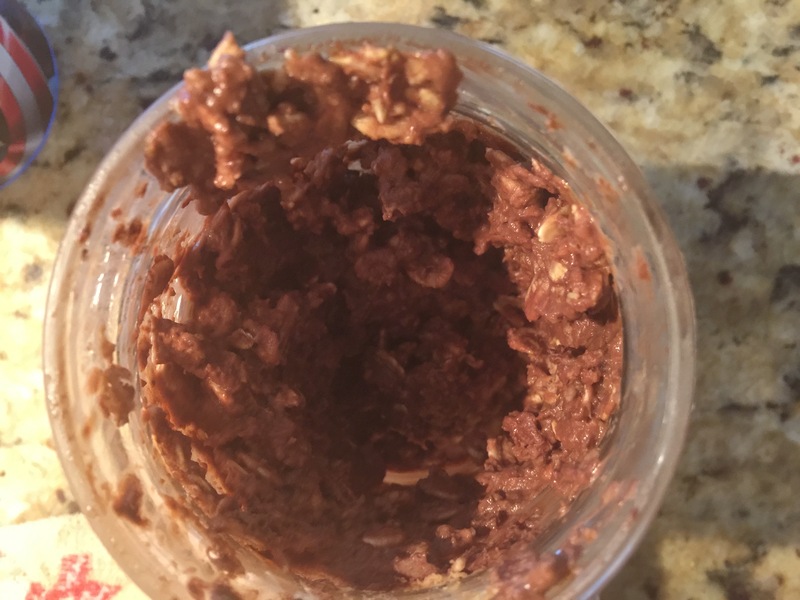 A few months back I watched a video by my friend Courtney of Rev Well Anderson, and she was talking about how easy it was to make overnight oats. They keep her full, they’re easy to throw together, and she can grab them and take them with her on busy mornings when she needs to get out the door. 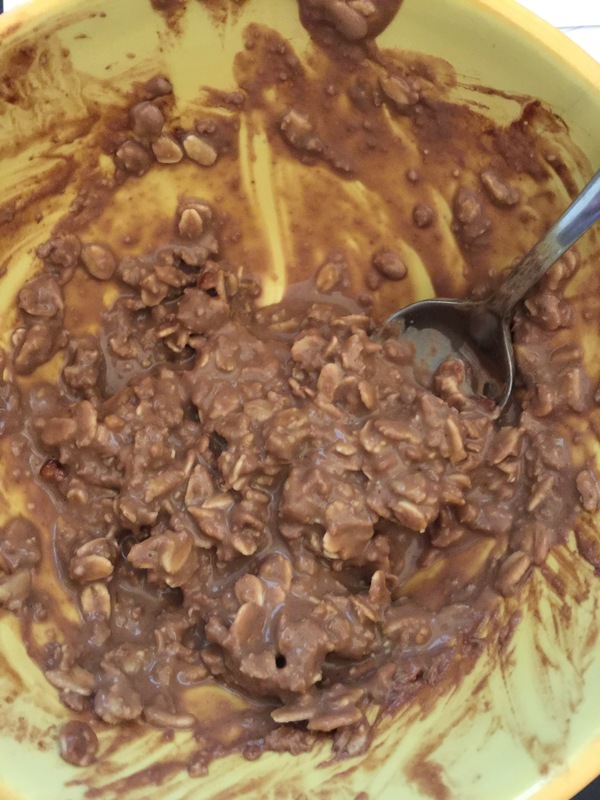 After a little experimentation, I have finally discovered the PERFECT recipe for my version of Overnight Oats and have added some protein to make sure they help keep me full, satisfied, and balance my hunger hormones. *Grab a jar. I use old glass peanut butter jars because we have a lot of them and they’re the perfect size. And they’re free- an added bonus! *Add to it around a half cup of oats. I use old fashioned oats, you can use any type you prefer. *Add about one and a half times that same amount of liquid. In this example, if you added a half cup of oats, add around 3/4 c liquid of your choice. I use unsweetened vanilla almond milk. Now add your favorite mix-ins. 1- I add a full scoop of chocolate protein powder (my favorite brand currently is ISOPURE in the chocolate flavor. I buy it at Vitamin Shoppe and no, I’m not paid anything to tell you how much I love this product). (Note: if you aren’t adding protein powder, you won’t need quite as much of your liquid as mentioned above). 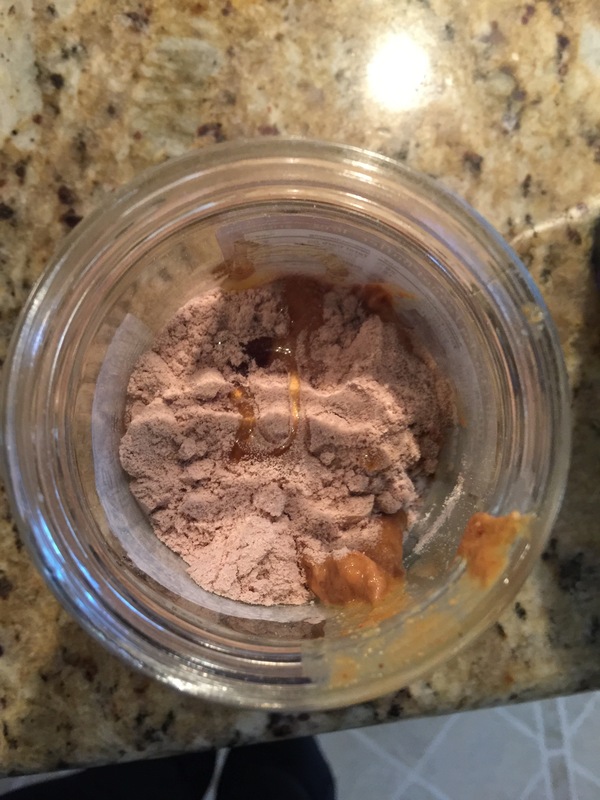 2- a scoop of all natural peanut butter. 3- 2 TB or so of unsweetened cocoa powder (I just shake it in- some days more, some days less. I love a dark, chocolatey taste, so I load up on this.) It’s also a craving crusher- did you know that??? Be sure you’re adding UNSWEETENED cocoa. 4- a small squirt of local honey. This time of year I try to get in a little local honey every day for allergy issues. I keep the serving size small on this. Yes it is delicious, but no, it’s not super fat loss friendly. 5- liquid stevia to taste. I usually use about 4 drops or so. 7- Some days I add flaxseed or coconut oil. GET CREATIVE HERE! Whatever you like, go for it. My husband prefers berries in his and uses vanilla protein powder. Use whatever you like best. Now, put the lid on and shake, shake, shake! The next morning, take it out, shake it up, and then either heat and eat or you can enjoy it cold just right out of the jar. I usually heat mine up, put the lid back on, and take it with me as I run errands, drop the kids off at school, or even to eat as I’m waiting on my next class to begin. If you find that yours is too dry, pour in a little of your morning coffee. Meal prep doesn’t have to be complicated. You can prepare several of these at the beginning of the week and then just heat and eat when needed. Experiment with quantities and ratios of liquid and oats. Depending on your toppings, and on how long it sits in the fridge, you may have to adjust. Hope you enjoy this as much as I have!!! I have been making overnight oats for a while now— i’ve found that I really love using the oats + almond coconut milk + chia seed + just a tad of honey in it and then I will add some craisins or whatever else I feel like fruit wise 🙂 So easy! Helps keep me full and super simple! Sounds good to me. How about a recipe that doesn’t contain chocolate. I’m allergic. I know, dumb allergy. I bought the vanilla is opted and it tastes nasty! I even add some powdered peanut butter (PB8) to it just to get it down so I don’t waste it. Any suggestions? I like the vanilla. Maybe it depends on what you’re mixing with it. Try the protein shake recipe listed on the blog, just leave out the cocoa powder and add a little more liquid stevia if needed.